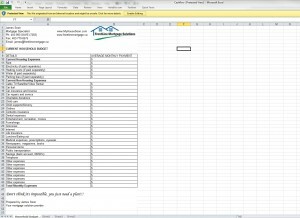 To determine how to fill out your household expenses template, you need to decide how much you spend each month. Some of the things you may want to add to your expenses include: rent/mortgage, electricity bill, cell phone bill, entertainment expenses, respective car bills, health insurance bills, and much more. If you aren’t sure how much you will spend each month, make your best estimate. You may also want to include money for unexpected expenses in your monthly budget. Once you come up with your household expenses, you will have to see if your monthly income can match the expenses.